Don’t miss Cerddorion’s 2019 concerts! 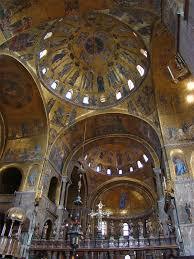 The Basilica of San Marco in Venice was a wellspring of musical innovation in the late 16th and early 17th centuries. 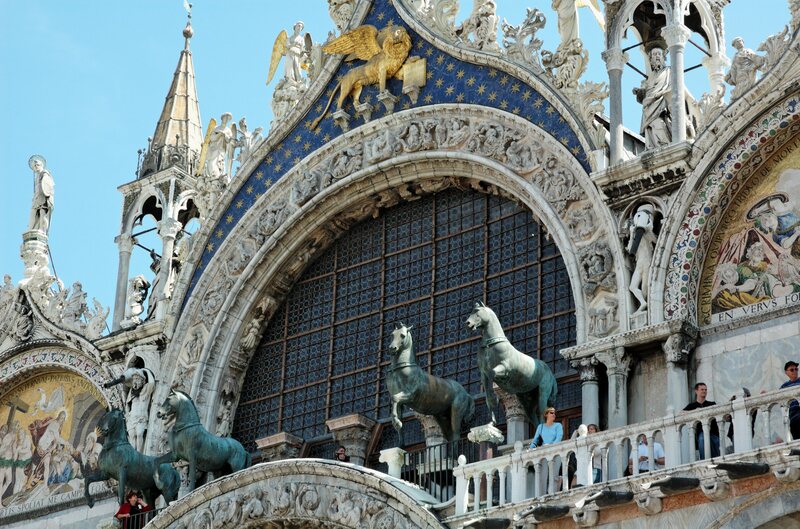 As first organist at San Marco from 1585-1612, Giovanni Gabrieli took the emerging polychoral style to spectacular new heights. Using the church’s unique layout – in particular its multiple balconies on facing sides of the sanctuary – Gabrieli experimented with spatially separated choirs, soloists, and instrumentalists. Claudio Monteverdi, appointed maestro di cappella at San Marco in 1613, continued pushing boundaries in this tradition. In the early 1600s, Heinrich Schütz spent three years in Venice as Gabrieli’s pupil; he returned two decades later to study with Monteverdi. Applying the techniques he brought back from these sojourns, Schütz transformed Germany’s musical landscape. No composers illustrate the lush textures and brilliant counterpoint of the early Baroque era better than Gabrieli, Monteverdi, and Schütz. By presenting these three masters side by side, Cerddorion’s performances will illuminate connections, similarities, and divergences among them. The program will include Gabrieli’s Jubilate Deo à 8; Monteverdi’s Dixit Dominus II; Schütz’s Jauchzet dem Herren, alle Welt and Singet dem Herrn ein neues Lied; and many other glorious works. Joining Cerddorion for this special program will be a superb period orchestra, including Dongmyung Ahn, Baroque violin; Kate Goddard, Baroque violin; Peter Kupfer, Baroque viola; Matt Zucker, Baroque cello; Nathaniel Cox, cornetto; Liza Malamut, sackbut; Erik Schmalz, sackbut; Mack Ramsey, sackbut; Daniel Swenberg, theorbo; and Dylan Sauerwald, organ. Works from the past paired with later compositions they inspired. Featuring the winners of Cerddorion’s seventh annual Emerging Composers Competition. We opened our 24th season with a celebration of American poetry set to music by American composers. The title work was commissioned by Cerddorion from New York composer Susan Kander and features the poetry of William Carlos Williams. In addition to this world premiere, we gave the first-ever performances of compositions by Robert Applebaum, as well as music by Elliot Carter, Aaron Copland, Elliot Z. Levine, William Schuman, and Eric Whitacre. Other poets on the program included e.e. cummings, Emily Dickinson, Langston Hughes, Marianne Moore, Genevieve Taggard, and Walt Whitman.